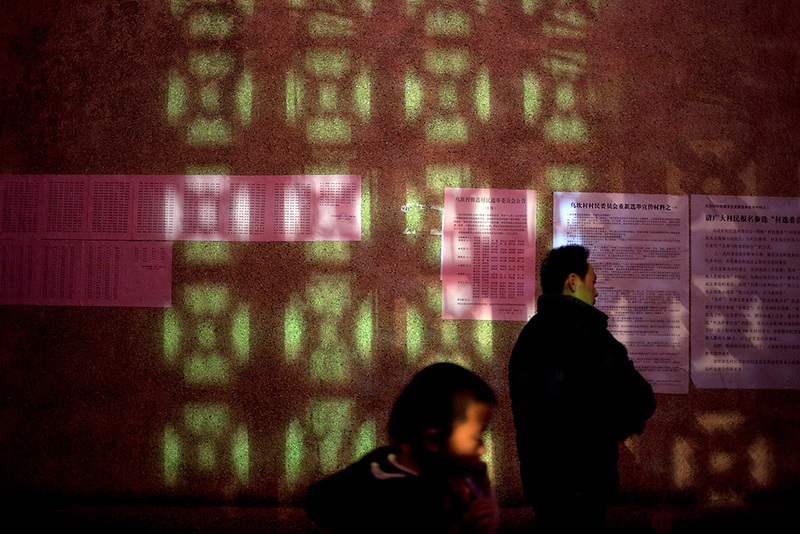 Official notices are plastered on a Wukan temple wall in the days leading up to the first round of village elections. Three rounds of elections would select a new village committee after residents drove out the previous committee amid claims of corruption. At the heart of Wukan's mass protests were allegations that large plots of village land had been sold off to developers by local officials for personal gain. As Wukan is a sea-side village, part of the land that was sold is sea-front property, some of it too salinated for farming. 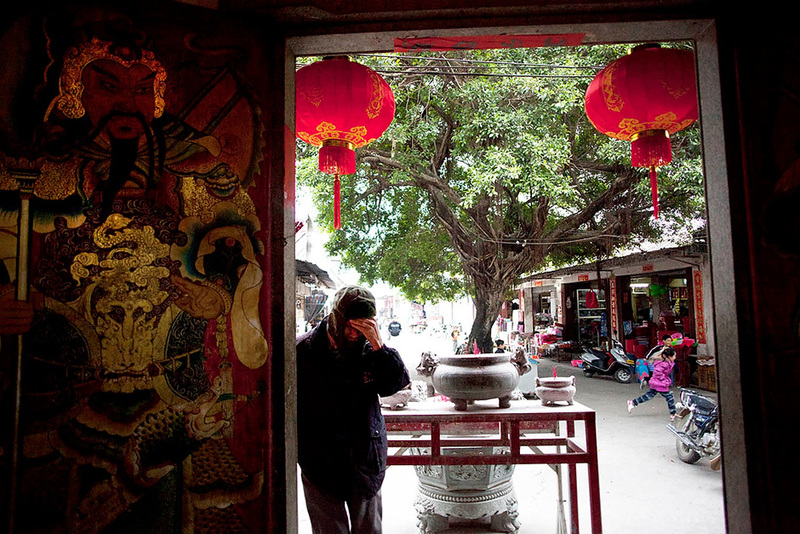 Wukan is dotted with temples that feature a mix of Taoism, Buddhism, and folk religion. There is a small percentage of Catholics in the village, but most villagers observe a range of folk festivals and pray on important days in the lunar calendar. 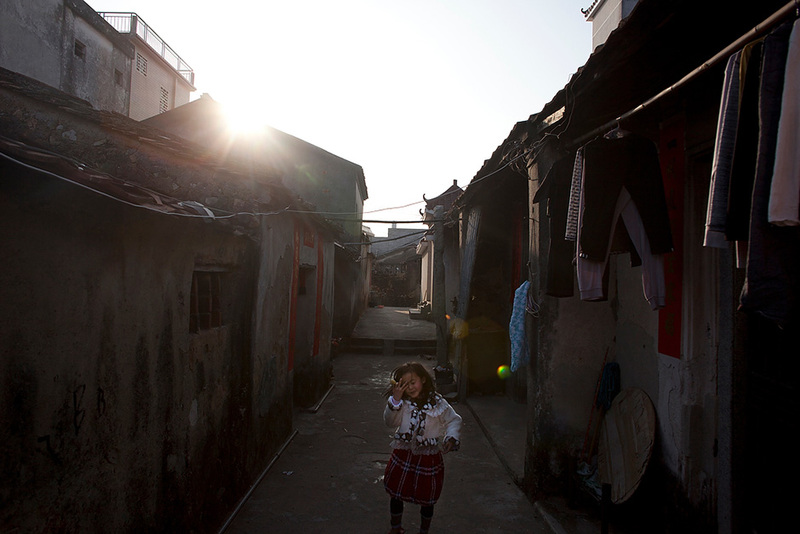 Often described as a relatively wealthy coastal Chinese village, Wukan is nevertheless divided by a visible income gap. Plush new villas stand alongside single-room homes that are crumbling and without running water. 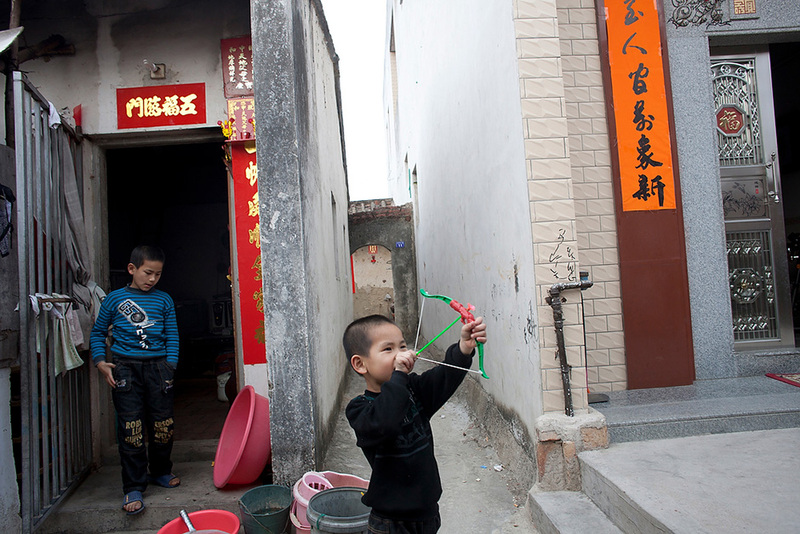 Huang Binbin, 6, pulls back on the string of a toy bow and arrow with his brother Pengpeng, 10, nearby. They live in a nine-square-meter home, at left, which they share with their parents and sister. 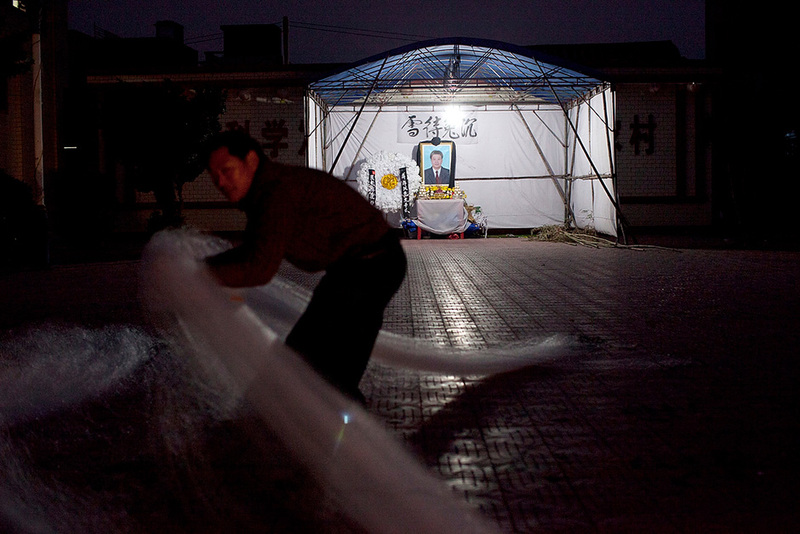 A fisherman prepares his nets for the next day's catch in front of an altar constructed for Xue Jinbo, a Wukan villager who had led protests and died in police custody in December 2011. 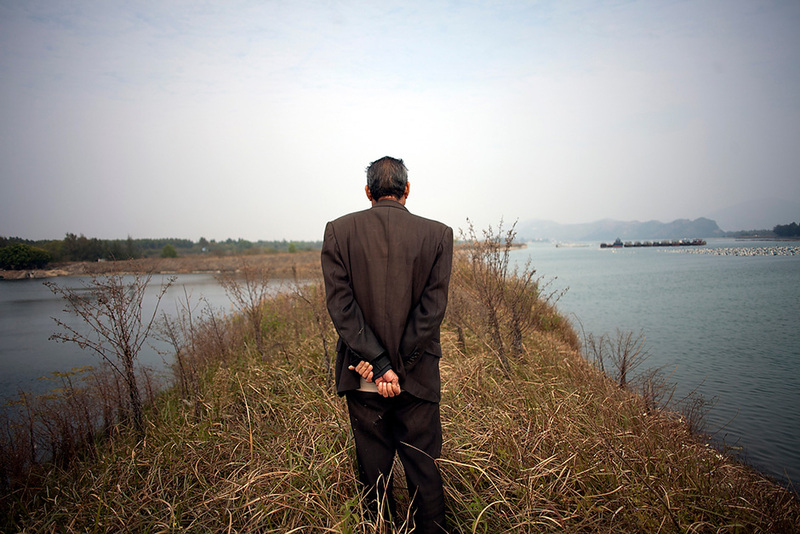 Wukan's newly elected village chief, Lin Zuluan, has the weight of the world on his shoulders. The long-term land dispute that led Wukan villagers to launch sustained protests and chase out its previous village committee captured the world's attention. A Wukan villager expresses his exasperation at paramilitary police who turned a foreign journalist away from the polling center during the first of three rounds of village elections. Paramilitary police stand guard as ballots are counted. Wukan villagers make a final count of ballots late into the night after the first round of elections. 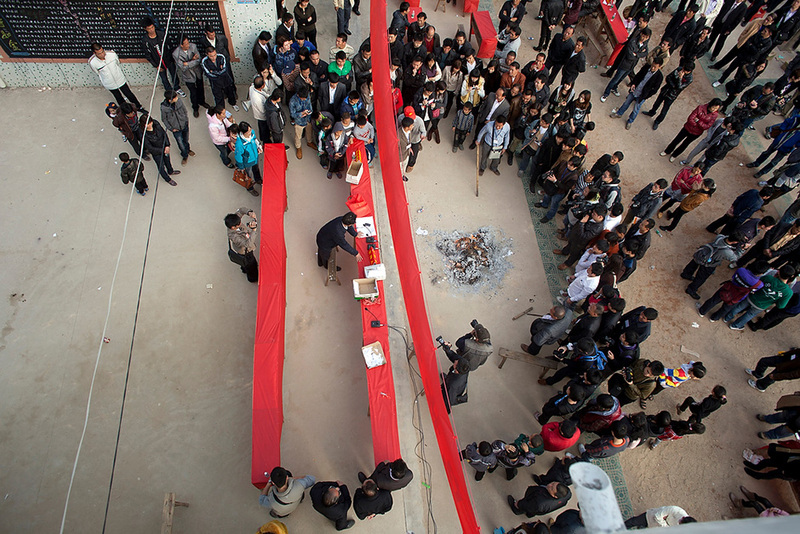 Village party chief Lin Zuluan announces the end of voting and unused ballot papers are destroyed in a bonfire (seen at center). 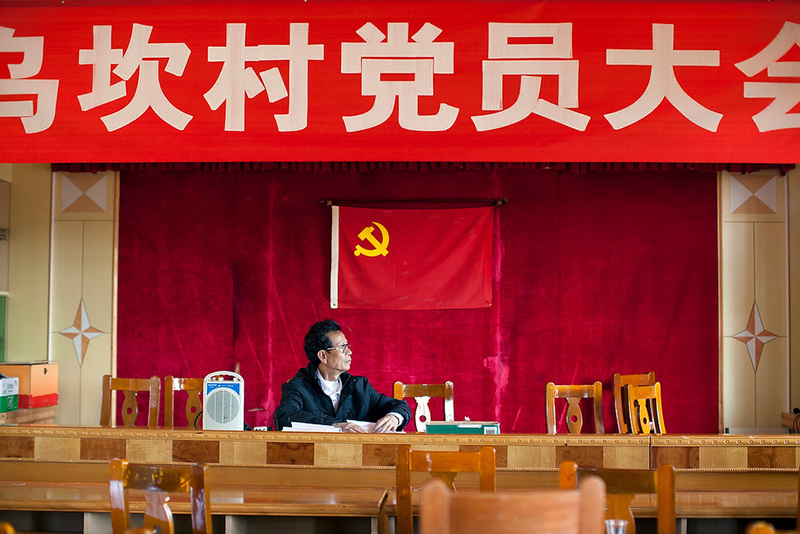 While village elections are widespread in China, it’s rare for the Party not to exert pressure over the selection of candidates. 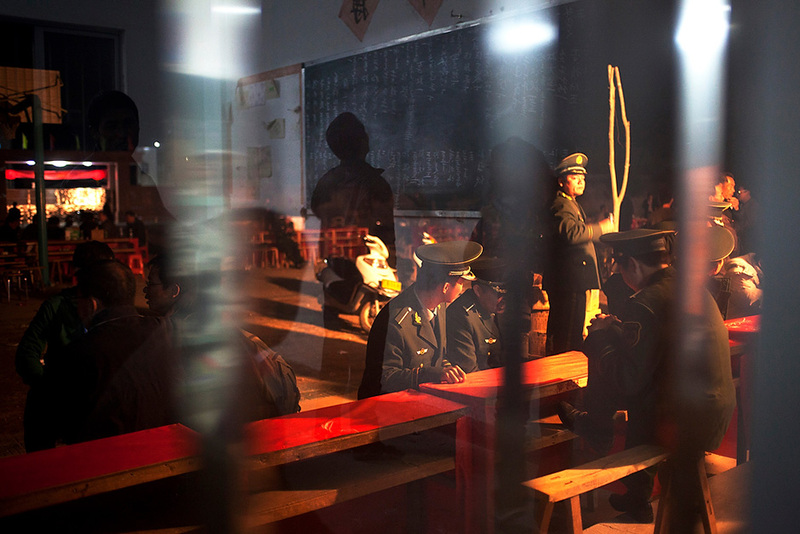 When the Guangdong province village of Wukan held elections in February and March 2012, however, they were notably free from interference from above. These elections represented the culmination of three months of struggle between the villagers and provincial government. 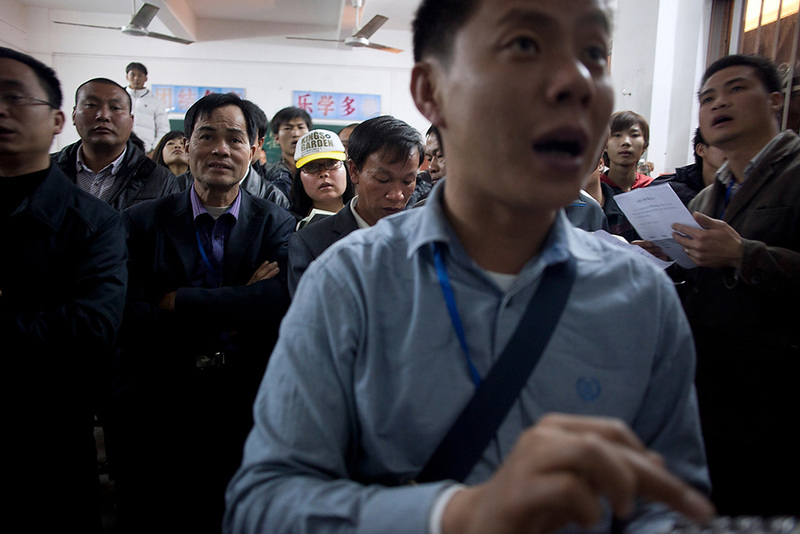 In September 2011, Wukan villagers began protesting the illegal seizure and sale of their land by local Party cadres. The protestors demanded fair compensation for the land that had been taken, but officials refused to grant it. 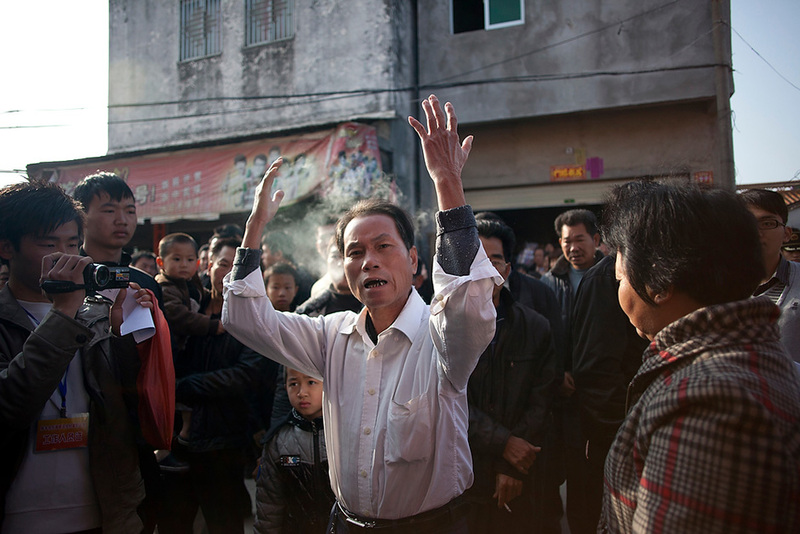 Tensions escalated in mid-December, when a leader of the protest movement, Xue Jinbo, died under mysterious circumstances while in police custody. Protestors drove local officials and police out of the village; the provincial government, in turn, cut off supplies of food, water, and electricity and surrounded the town with security officers. But in late December, in a highly unusual move, provincial authorities conceded that the protesters grievances were legitimate, threw out Wukan’s current leaders, and allowed its villagers to freely elect new leaders.